The beauty of fatigue and the thrill of conquest. L’Eroica was born out of that love for cycling on which quite a bit of history and a lot of italian literature is written, with the intent to seek out the authentic roots of a beautiful sport, with a great populist soul, and to rediscover the beauty of fatigue and the thrill of conquest. L’Eroica started in 1997 because of one man, Giancarlo Brocci, who admired the values of past cycling so much that he wanted to reconnect others to the heritage that inspired much Italian history, literature, culture and music. "We want people to rediscover the beauty of fatigue and the thrill of conquest. Today we are still trying to return to the authentic roots of this extraordinary sport with a great soul. We want people to rediscover the beauty of fatigue and the thrill of conquest: the heroic cycling of Bartali and Coppi, the sacrifice that seeks out our physical boundaries where thirst, hunger, and exhaustion are felt in all their might. Our type of cycling breeds respect and creates bonds between loyal opponents. It is cycling in a healthy way, and its participants are inspiring and beautiful to watch." 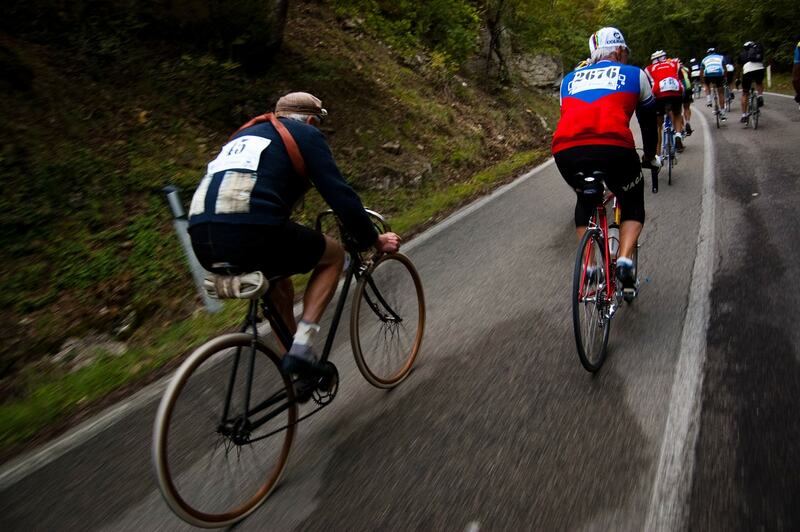 L’Eroica is also a foundation whose purpose is to safeguard the heritage of the white roads of Tuscany. From these romantically current conceptions came the idea of the cycling event which was born in 1997. At the start, at the time, there were 92 “hunters of feelings and emotions”. Today, L’Eroica is an example of development of the environmental heritage, of the sustainable lifestyle of clean cycling, where looking to the past points to the future: witness the numbers a success due to the passion of its organizers and creators. 7000 participants from all over the world, 20000 people including the accompanying families. From this year to underline its commitment to the development of education and environmental sustainability, space was given to an area dedicated to companies who are particularly engaged in this area. 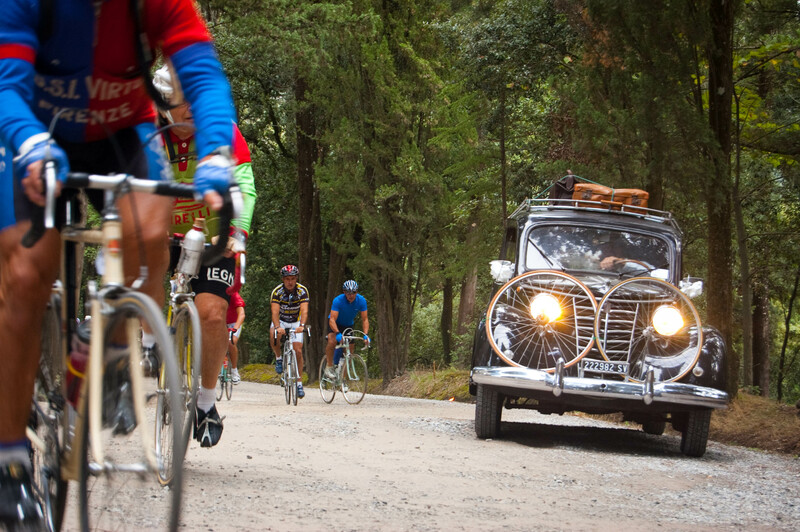 It is just another example of how the concept of the L’Eroica can be as timely as ever. The route of “L’Eroica” covers some of the most beautiful roads in the area of chianti, Val d’Arbia and Val d’Orcia, but the highlight is represented by those stretches of white roads that still exist, that allow you to experience the atmosphere of cycling in another era. As official Tour Operator of the Eroica in Italy, Anima Toscana will help you to fully live the Heroic spirit, proposing all kind of service a rider or partner needs. 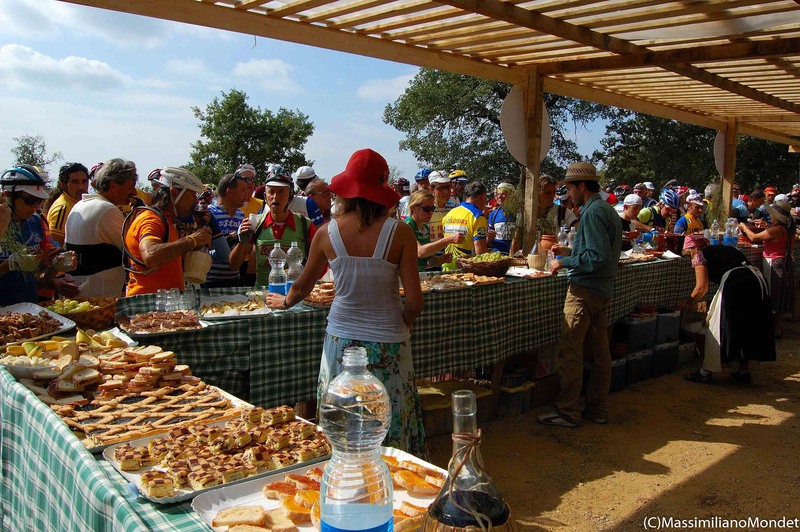 Buying one of the packages with Registration & Accommodation, you’ll ensure your participation to L’Eroica in advance, allowing you the planning of your unforgettable travel to Tuscany…riding the best vintage bike event in the world! Anima Toscana could help you to plan your trip: stay during the L’Eroica, but before or after too, planning for you a nice visit to some other beautiful parts of Tuscany…riding your bike or just relaxing with your partners! If you want to travel easy, Anima Toscana proposes the rental of a vintage bike, that you’ll comfortably get directly in Gaiole in Chianti on the days before the event. Anima Toscana organizes some nice activities, as for example the Tour of Ristori, a beautiful tour of the typical rest stop along the different routes, perfect for non-cyclist who won't ride!